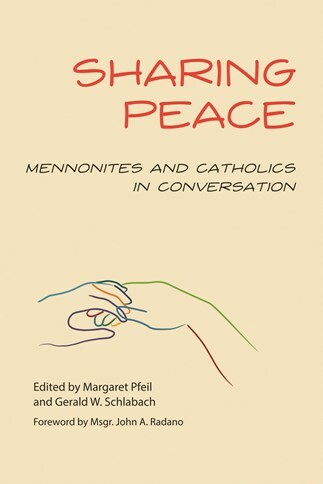 Sharing Peace brings together leading Mennonite and Catholic theologians and ecclesial leaders to reflect on the recent, first-ever international dialogue between the Mennonite World Conference and the Vatican. The search for a shared reading of history, theology of the church and its sacraments or ordinances, and understandings of Christ's call to be peacemakers are its most prominent themes. Margaret R. Pfeil is assistant professor of moral theology at the University of Notre Dame and a Faculty Fellow of the Joan B. Kroc Institute for International Peace Studies. She specializes in Catholic social thought. She is also a cofounder and resident of St. Peter Claver Catholic Worker House in South Bend, Indiana, and is on the board of Bridgefolk, a movement of Mennonites and Roman Catholics who come together to celebrate each other's practices and honor each other's contributions to the mission of Christ's church. Gerald W. Schlabach is professor of theology and director of the Justice and Peace Studies program at the University of St. Thomas in St. Paul, Minnesota. He is cofounder and executive director of Bridgefolk. His books include Just Policing, Not War: An Alternative Response to World Violence (Liturgical Press, 2007) and Unlearning Protestantism: Sustaining Christian Community in an Unstable Age.